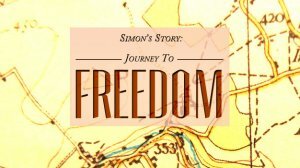 Simon discovers His true identity in the Father, and he can now live a life of freedom. I was 24 and accustomed to unusual experiences. You don�t grow up in a traveling Irish show business family without learning how to adjust to the peculiar. I wondered why I felt so uncomfortable. There was nothing wrong with the setting. Nightclubs had been a part of my life since I was a child. The company was great. I loved spending time with Kevin and Paul who both had been my good friends since I was sixteen. Then I recognized that the conversation made me uncomfortable. Why were my two best friends talking about Jesus, and why here of all places? If they had such strong convictions about God, why had they chosen this moment to share them? We finished our drinks and headed back to Kevin�s apartment. "I thought Christianity was for the helpless and the emotionally challenged, certainly not me." Our conversation continued until the early hours of the morning. I wasn�t sure what had happened to them, but something had changed. Their attitude reflected love and peace. Their talk wasn�t the usual coarse banter because they were talking about the new person in their life, Jesus Christ. Until that moment, I thought Christianity was for the helpless and the emotionally challenged, certainly not me. I was doing fine. I didn�t need God. My life was good; and despite becoming somewhat disillusioned with my love life, I was happy with my career. I had appeared on numerous TV shows, had two record deals with songs in the Irish charts and had even represented my country in an international song competition called the Eurovision Song Contest which was broadcast to over 50 million viewers. Jesus Christ wasn�t for people like me. I believed in God, but their obvious passion made me question my concept of Christianity. This type of devotion seemed a little excessive. After all, if God was so great, why was church so boring? As the hours went by, I realized that they had something that I didn�t: the knowledge that God loved them. So after hearing more about God�s love and that He had sent Jesus to die in my place, I concluded that I needed God, too. When I realized that if I had been the only person on the earth, God still loved me enough to send His only son, Jesus Christ, to die for me, I became a Christian. In my culture, a debt was a big thing. The fact that I owed God the life of his Son drove me to distraction, and I realized that I could never pay him back. I reached the conclusion that �a life for a life� was the only way to do it. If Jesus was willing to give his life for me, then I should give my life for Him. God�s love won me, not the fear of hell. The way Kevin and Paul talked about God�s love had a profound effect on me. As I left the apartment that night, they handed me a Bible and told me that God would answer all my questions as I read it. The hour long ride home seemed eternal. I felt God�s love pouring into my heart and I cried and cried the whole way home. During the next three weeks, I kept hearing God speaking to my heart about all kinds of things. I would meet people and just know things about them. Having the awareness of God�s love in my life seemed to really affect people, and many of them became Christians. I didn�t know a lot about Christianity; but I knew Jesus, and more importantly, I knew that He knew me. I didn�t know if the Bible would say anything about this, but I felt that God wanted to answer my prayer, so I opened the Bible randomly and read the words of 1 Corinthians 6:9. "Do you not know that the wicked will not inherit the kingdom of God? Do not be deceived; neither the sexually immoral nor idolaters nor adulterers, nor male prostitutes nor homosexual offenders...� I became angry with God! How could the Lord send someone He loved to hell? I determined to continue my homosexual lifestyle and wanted to rebel against what I had read in the Bible. That night, God visited me once more while I was dancing in a nightclub. I looked into the eyes of the man dancing with me and saw death. It frightened me to the point that in the middle of the disco, I started to tell him about God. Then I realized that in my three weeks with God, I�d become a different person. On the inside, my heart was totally changed. A desire to understand my homosexual feelings set me on a journey. It began with exploring what the Bible had to say. I looked up all the scriptures related to homosexuality that I could find and realized that God wasn�t against homosexuals; in fact, He loved everyone indiscriminately. The Bible taught that any sexual expression outside marriage didn�t truly reflect what it meant to be created in God�s image. Genesis 1:26-28 really helped me see that when God said, "Let us make man in our image, in our likeness...� (NIV), and then created Adam and Eve and bid them to be sexually fruitful, He is telling us something important about who He is. This brought great revelation about what type of relationship could exist between a man and a woman and how this relationship reflected the relationship that exists within the Trinity. I don�t want to draw too sharp a comparison here, because the persons of the Trinity don�t have physical bodies as we do and therefore don�t manifest their love for one another in human ways. But notice in Genesis1:27-28 that it is God�s desire that we reflect the image and likeness of the Trinity. That is why God directs Adam and Eve first to commune with each other as sexual creatures. To consider the eternal nature of God�s love without desiring to reflect that nature in our sexual relationships is to deny our very identity as human beings. It removes God�s fingerprints from our lives and leaves us with a deep identity crisis. The antidote to such a condition is for God to reconnect who we are with who God is and restore our true sexual identity through this reconciliation process. God did not create me to be a homosexual. I was set up for it through circumstances of life. I had a dysfunctional relationship with my dad, which left me feeling unloved and unwanted. My attempt to connect with others boys at school failed which only compounded my feeling that males rejected me. The name-calling and continued rejection left me with nowhere to belong. I concluded that I must be gay after all because I didn�t fit in anywhere, with either males or females. Years of living with this identity problem produced a fantasy life in which I dreamed of men desiring me. The pull to engage with men sexually followed. The father I desired became the man of my dreams and led me to develop homosexual relationships. When I became a Christian and discovered my identity as a son of God, my feelings of being fatherless began to fade. My identity as my Heavenly Father�s son began to override my dysfunctional identity. "The love he revealed for me created a hunger in me to know him more"
When someone asks me how I managed to become free from my sexually dysfunctional past, I have I but one answer: I just fell in love with God who first loved me. The love He revealed for me created a hunger in me to know Him more. As I beheld such love, I became what He created me to be, beholding and then becoming. He told me early in our relationship, "I�m the �man� you�ve been looking for. I will love you and look after you and honor you.� All the things I had been searching for in a man, initially my father and then with others, I found in my relationship with God. He became all the "man� I needed. The outcome of all this is remarkable. Not only did I find my identity in my relationship with God, the outcome of that revelation was a desire for a relationship that reflected that new identity. I found myself particularly attracted to a beautiful young woman who had become my friend. Jane is now my wife, and we have a daughter, Emily, who is the fruit of our love. The day we became one together I cried and cried. We stood side by side on our wedding day, and I knew that something amazing was happening. To many of the guests, the highlights of the day would have been the singing or the service, but for us it was so much more. It was the true reflection of a son and a daughter who had been restored by love to such a place of beauty. We had begun our journey together in trying to discover all it means to be a reflection of God to each other first, then eventually to our child and now to the world.